Are you looking for a more resourceful way to promote your business? One that doesn’t require hundreds of pages to print or time and electricity spent calling people only to get hung up on and ignored? If so, you’re in luck! SpeedPro Imaging Alpharetta invites you to learn more about the wonderful world of vehicle advertising. Custom car wraps give you the ability to reach a far larger number of people than you would with those “old-school” forms of advertising. Plus, you can start promoting your business outside the office — and you can look cool doing it! If you’re interested in giving your vehicle a makeover for your company’s interest, reach out to our studio today! Any businesses and organizations in the surrounding Alpharetta, Atlanta and Roswell areas are welcome to work with us on their next big project. During our consultation phase, our team will identify your business’s branding requirements. We’ll determine what areas you need to advertise and how you can do so effectively on a large scale. We’ll want to find the best way to catch someone’s eye as well as make it easily readable, especially if your car is in motion. 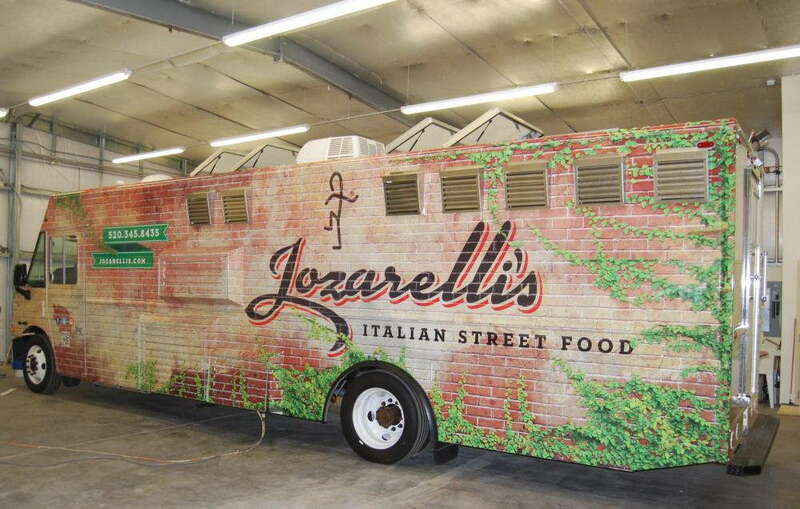 Our aesthetically pleasing, memorable custom vehicle wraps will give everyone immediate access to your brand with the highest possible visibility. If you own a trucking company and often send out multiple trucks at once to deliver or work on a site, you should consider partnering for a fleet wrap design. Why send out five trucks that have no design on their haul when you can send out five trucks that support vivid inks and eye-catching designs? Long hauling trucks already capture attention when driving down streets and highways — give your team the ultimate jaw-dropping look by making sure the people you pass are noticing your business and brand! 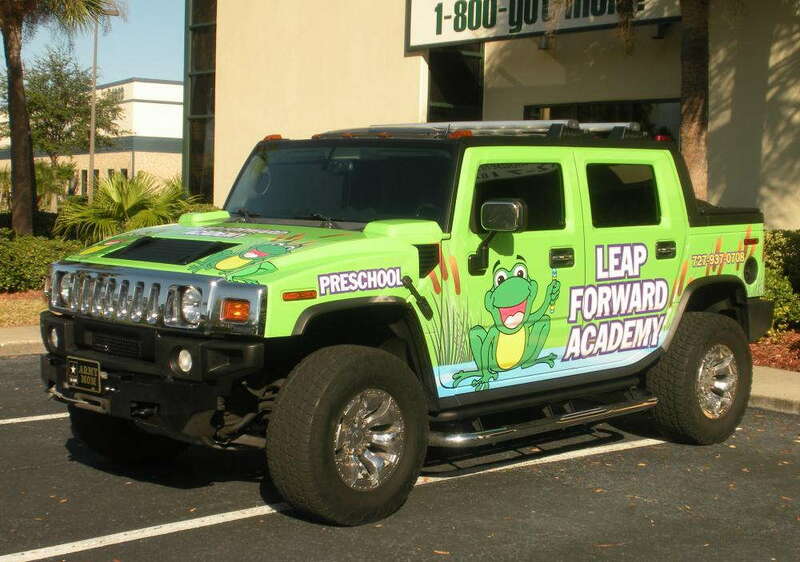 Full and partial vehicle wraps are two options available for cars, SUVs and standard trucks. The design process and wrapping application are the same — all that changes between the two options is your decision in how much coverage you receive. With a full vehicle wrap, everything gets designed and wrapped, including your vehicle’s hood, roof, side doors, windows and back bumper. 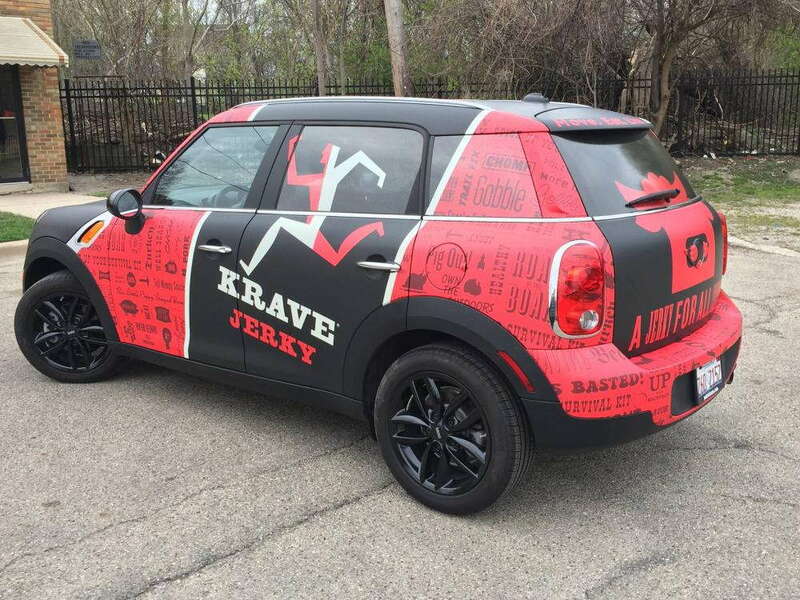 With a partial vehicle wrap, you’re looking at smaller sections to wrap, such as only the windows or the front hood and side doors. Our team at SpeedPro Imaging Alpharetta is available to help talk you through the decision-making process. With our marketing expertise, we can give our insight in knowing how much brand promotion you may need to be successful and see results. Whether you’re a first-time small business owner or you’ve got a rather successful corporation running under your belt, we can customize the right look for you. 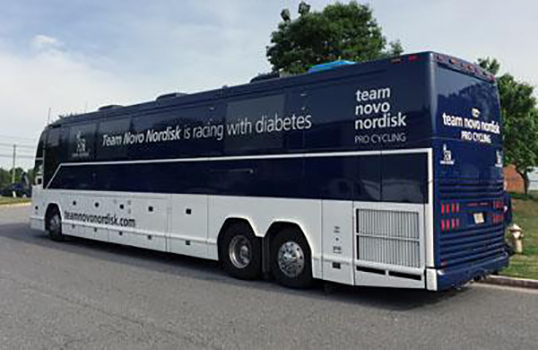 So you’re ready to drive around in style with your business branded for the world to see? Then let’s go! Contact us or visit our studio to set up your one-on-one consultation, and we’ll begin the design process shortly after. Great Customer Service, and most importantly they showed our business how responsible they are at meeting our goals and providing an excellent installation. Customer service and the giant photos on foam core were perfect!! We have worked with SpeedPro for several years on many projects. They are always prompt, professional and a great group to work with. I highly recommend them. The fast, friendly service is top notch with competitive pricing.